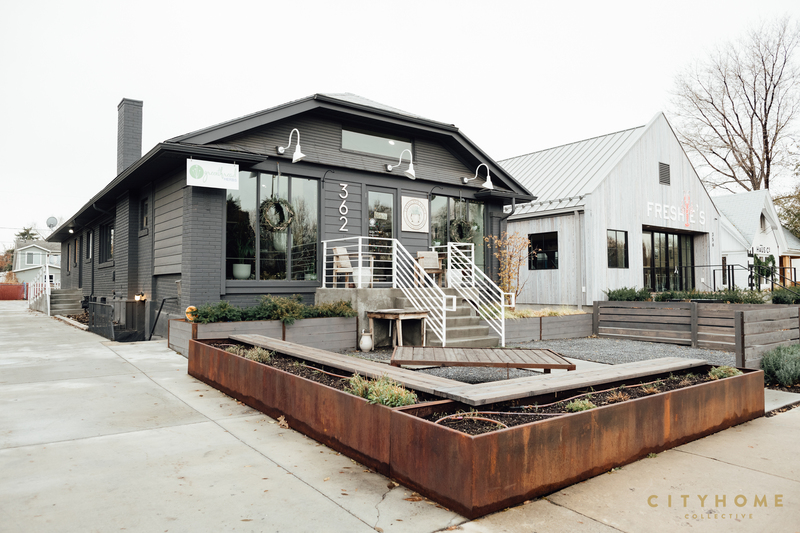 In recent years, 9th South has undergone a substantial transition from residential to retail. And, while new businesses continue to pop up along Harvey Milk Boulevard, things hardly feel overdeveloped thanks to a concerted effort to convert standing structures into commercial spots. Consequently, a large number of homes along 9th have been delightfully restored and subsequently used to house some of SLC’s best endeavors. 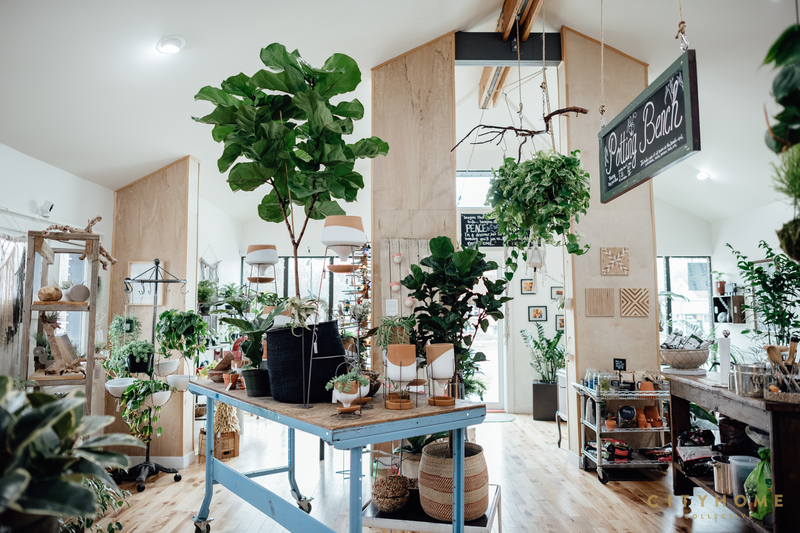 Not only has this repurposing created a corridor of adorable storefronts, it has also allowed for a greater degree of walkability as boutiques, bites, and the like have clustered together. 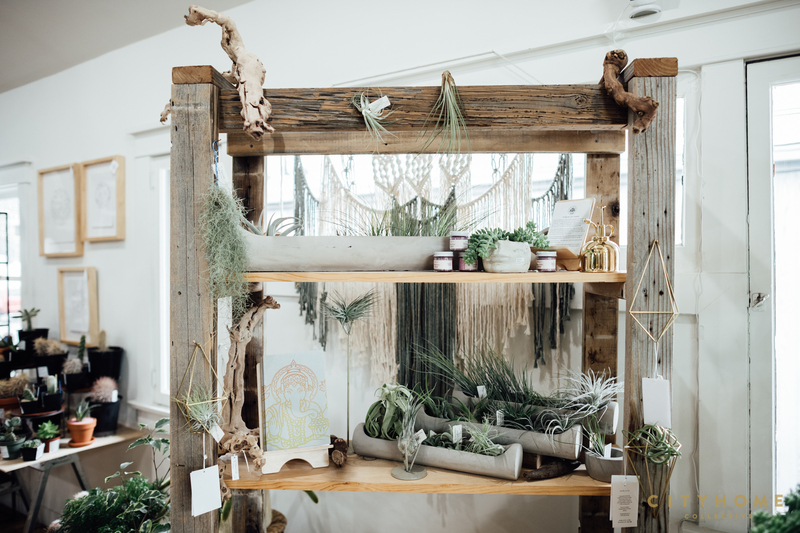 Case in point, just below 4th south sit a number of our COLLECTIVE favorites including Arte Haus, Veneto, and Freshies as well as SLC’s newest botanical boutique, Thyme and Place. 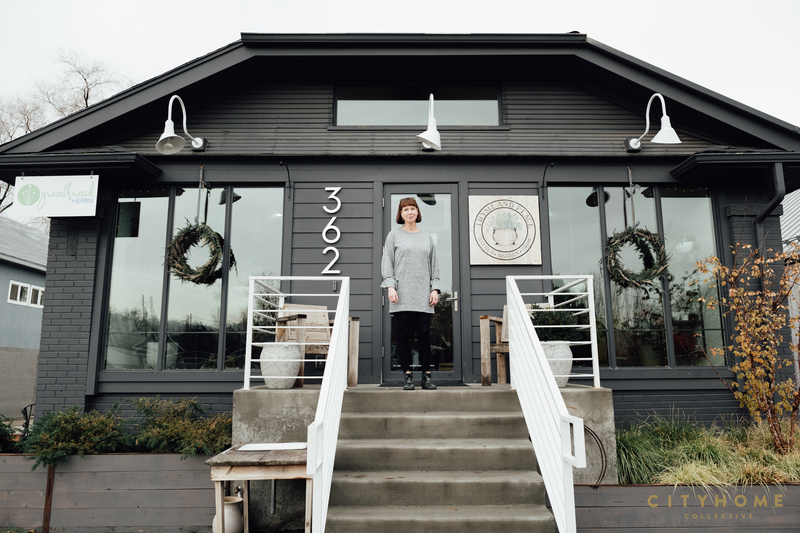 Essentially, in Thyme and Place, Melinda Meservy—the store’s owner—has created a lush, inviting microcosm in the middle of urban SLC. The interior here is as clean and charming as can be. White walls foreground all the good-greenery that is up for grabs within the space but also keep things uncluttered. 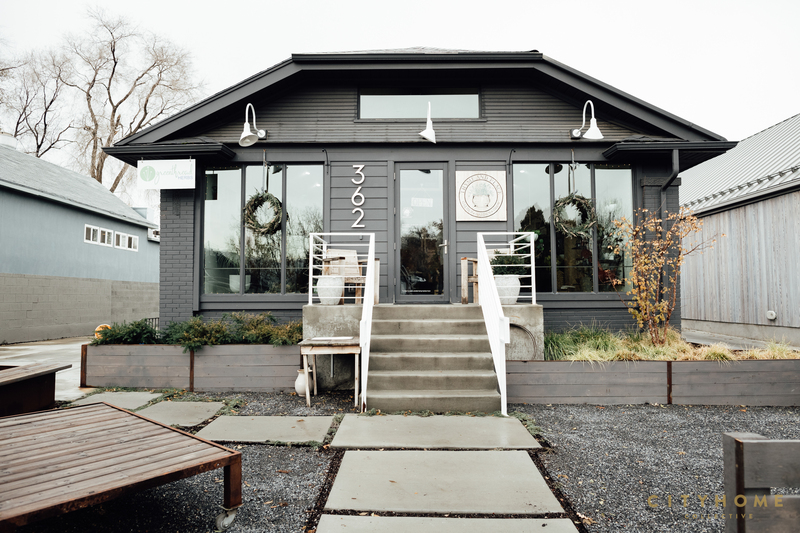 A vintage record player and an extensive collection of vinyl (passed down through Melinda's family over generations) adeptly set the mood of space and, if you wish to sip something while you peruse, coffee and specially blended teas from Greenthread Herbs—T&P's shop mates—are always available. 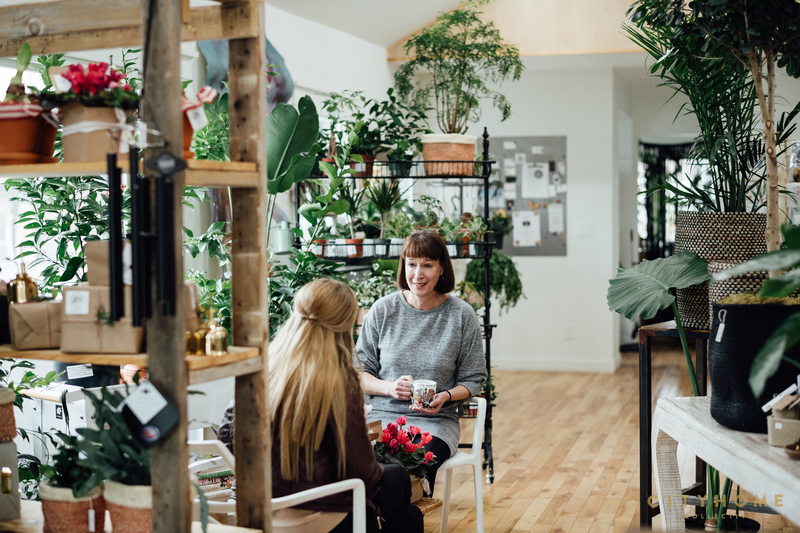 Connecting people and plants is the primary concern. Beyond the stellar digs, Thyme and Place is a veritable go-to for any and all horticultural concerns. 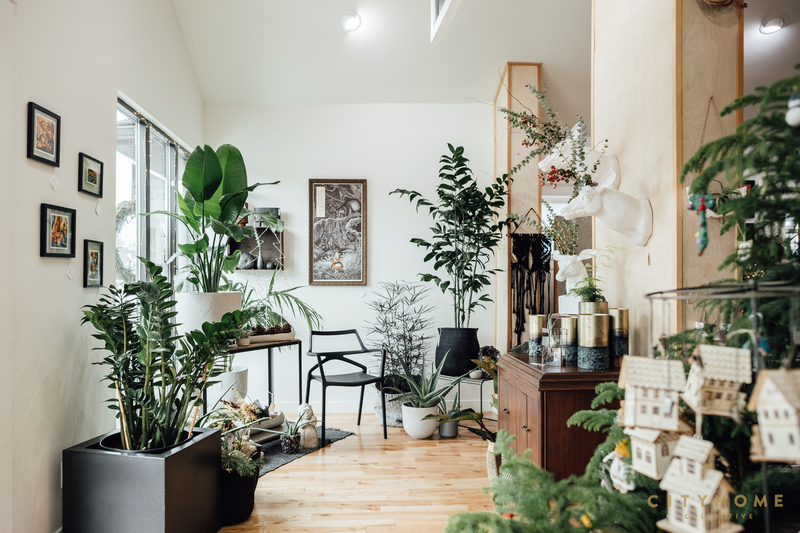 Their expertly curated assortment of succulents, ferns, ficus trees, and more is balanced by an equally commendable selection of unique, handmade objects and planters. 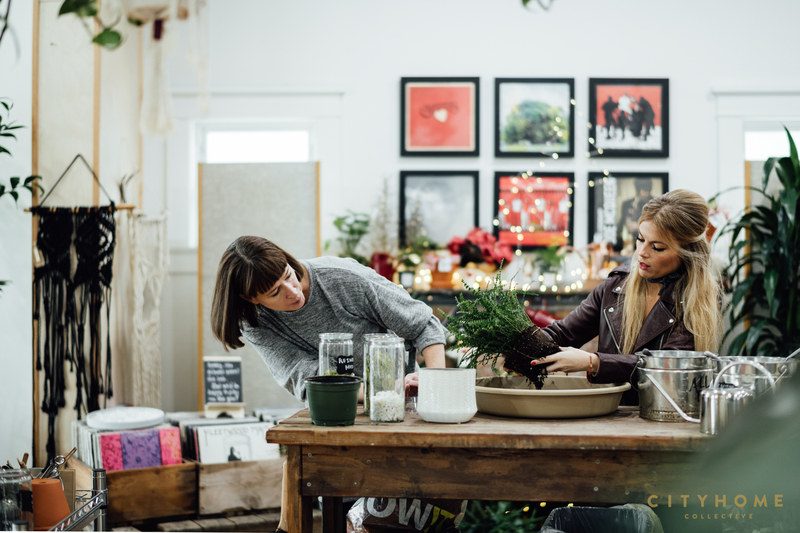 Plus, the staff here is fervently dedicated to ensuring their products are well cared for after purchase and the store’s “potting bench” is intended to be a place where customers can learn exactly what is required to keep their new leafy companion happy and healthy. Can you tell us what originally inspired Thyme and Place? The general philosophy of the store, if you will? With many people spending their days in cubicles or other boxes (houses, cars, buildings, trains, etc. ), I believe we've become physically and psychologically removed from the earth and the plants we depend on for food, oxygen, energy, and life. And while today's world insistently connects people via screens, it feels that in-person connection is happening less and less. I wanted to create a place for people to experience a connection to plants and to one another. 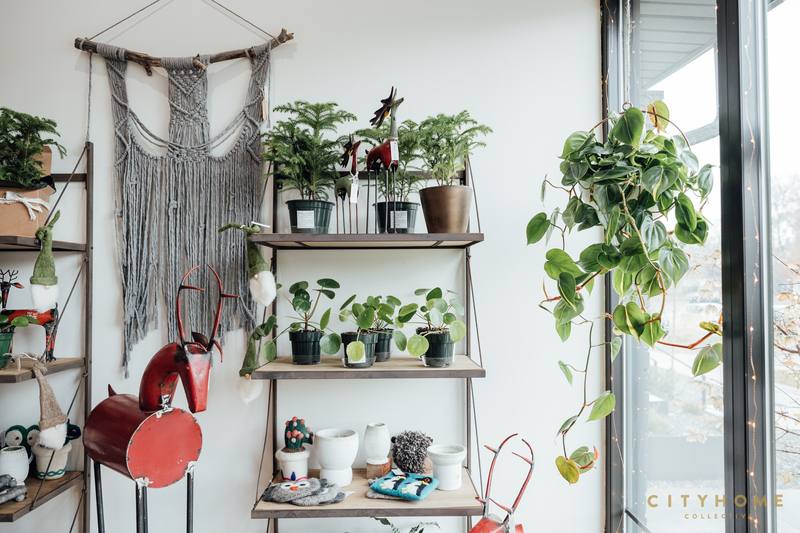 That’s one reason for the potting bench—so people can have quick and easy access to the experience of working with plants and soil, without it being intimidating—and for the workshops and plant swaps, so we come together in person. It’s also the reason the name made sense: Thyme and Place. Give us a little background on how the shop itself got started. In short, why plants? After 20 years in the corporate world, I realized I’d been giving nearly all my time and energy to a career that—while rewarding in some ways—wasn’t bringing me happiness. I’d had a good run, made wonderful friends, saw the world, even lived in London (still my favorite city)…but there wasn’t lasting value in my work, which shifted focus with each monthly and quarterly report. Because I have no dependents other than my dog Jake, I was in a unique position to walk away. I knew I wouldn’t have the energy 10 years from now, so 2 years ago I chose to leave the proverbial rat race to create something I hoped would be more meaningful to myself and others. Plants, gardens, nurseries, parks…these have always grounded me (pardon the pun), and that is what I wanted to share. We’re pretty enamored with the objects in the store. How do you go about curating these items? Thank you! I’m so glad you appreciate the items we have. One of the most positive byproducts of my past life is the opportunity to have seen how things are sourced, how they are made, and how those who are making these things live. 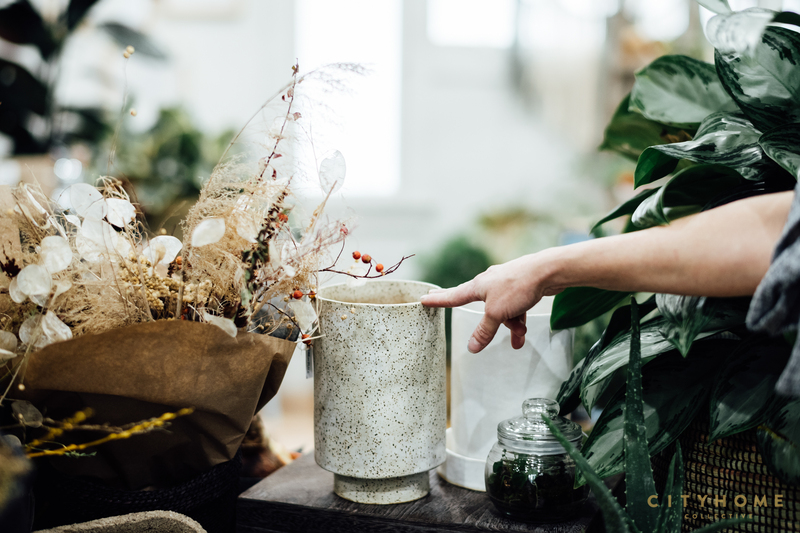 I’ve come to believe that the items that make a place feel warm have a few things in common—they consist of quality materials, they transcend trends, and they give one the feeling that the maker was fulfilled in creating the piece. So I am very careful when bringing products in. I prefer to source directly from the maker (love supporting local!) or to find suppliers committed to fair labor practices. You can almost see and feel the difference in a product that was made with joy and personal pride. I found Suzanne a year and a half ago at a pottery show in San Francisco. 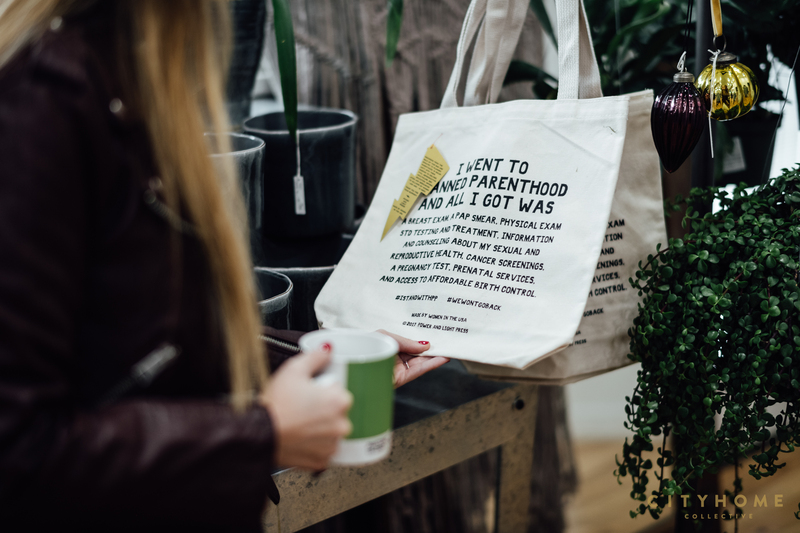 Her women’s rights pieces reflect the signs carried in the Women’s March in 2016. For me, her work is less a partisan message and more a human rights message. Roseline Pottery has created a series of planters for Thyme and Place. They are hand thrown, partially glazed with a matte black, white—or both—while exposing the raw brown clay between. They are gorgeous, and they even include drainage holes to facilitate healthy roots and plants. Also awesome: When Travis the owner brings us pottery, and we give him packing materials from other suppliers for his own shipments. It’s symbiotic, and it works. Collectives of women in Senegal and Tanzania nations are supporting their families by applying traditional skills to modern designs. 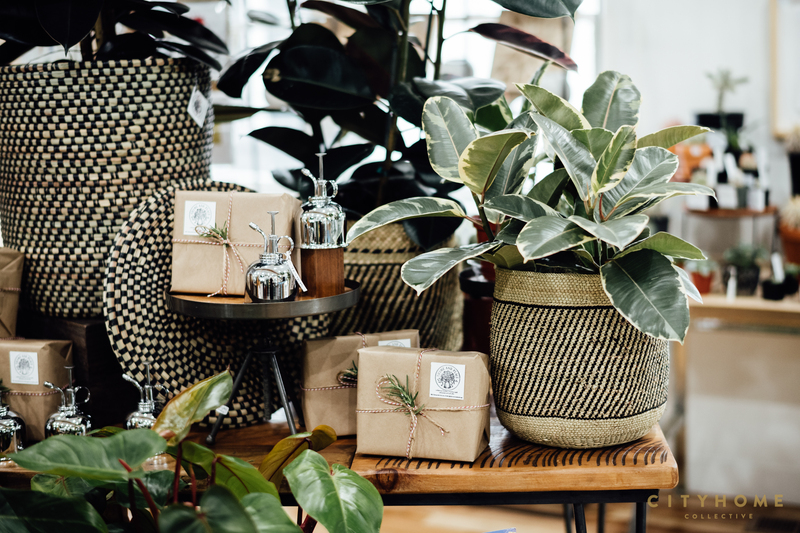 They literally weave natural materials with recycled plastic discards to produce containers that are strong, beautiful, functional, and useful in innumerable ways—hampers, storage, knitting baskets, or (our favorite) cache pots for plants! Your digs are pretty stunning. 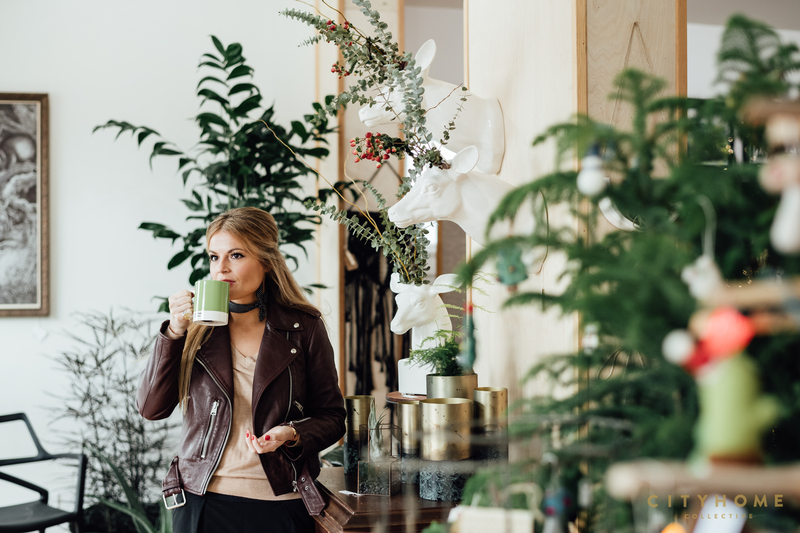 To what degree has your personal style influenced the aesthetic of the shop? I try to collect and hold onto only those things that will last a lifetime and tell part of my own story when handed down. The things I own, wear, and surround myself with reflect my life experiences. The shop contains a few things too personal to sell, but which I enjoy sharing. These include a record collection (80% gifted from an aunt lost to cancer, the rest I’ve picked myself) and stereo system, a concert poster for Raconteurs/The Kills in Nashville ’08 bought directly from the artist Rob Jones after a brief but kind email exchange in 2012, and a Queen of Hearts statuette gifted from George’s Architectural Salvage, which serves as a talisman overseeing the shop. I’m also a huge fan of upcycling. 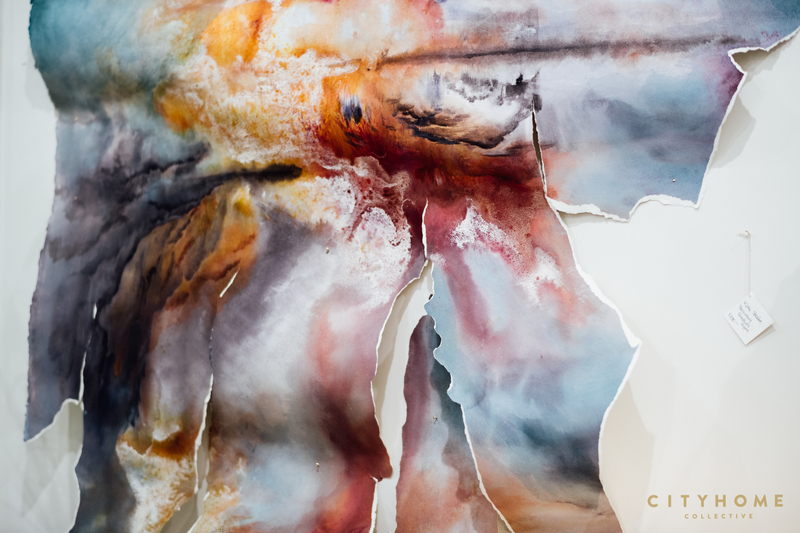 One-of-a-kind or rescued items bring a very unique feel to a space and provide a sense of history—a connection to the past and hope for the future. For example, the potting bench was constructed from the disassembled deck of a former neighbor. Their woodpile was slotted for the landfill, and now it’s a structure for people to come together and plant! I love that. 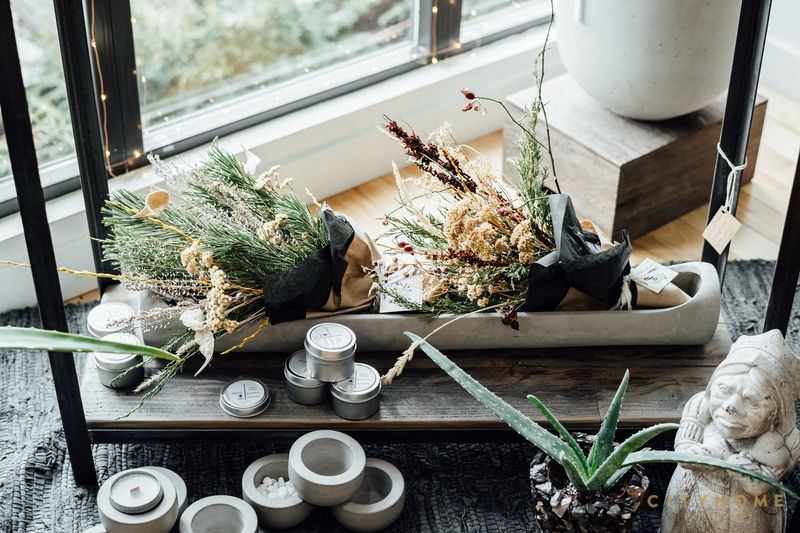 Thyme and Place certainly seems to offer a respite from manic, unconscious consumerism. It also feels very community-forward. In that spirit, what are the ideas behind the classes you host and how can one partake? Again, thank you! I am grateful and honored that you pick up those vibes—it’s a sign I’m doing something right, and that means everything. About the classes, they speak to the objective of connecting people with plants and each other. Becoming part of that is simple. Keep an eye on our events through the website thymeandplaceslc.com. We also post events on Instagram, Facebook, and Eventbrite. 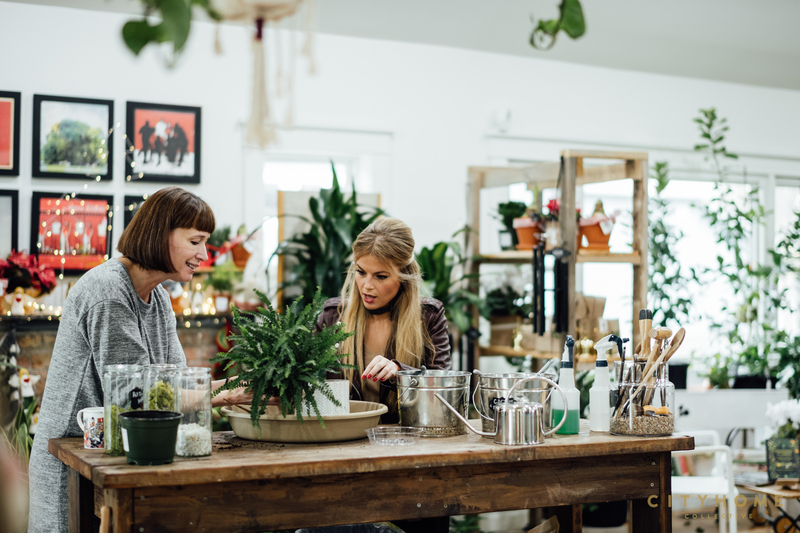 Our activities span plant-cutting swaps to terrariums, macramé to mushroom lectures, and don’t miss the tea and herb master classes offered monthly by our shop-mates, Greenthread Herbs! We’ll be taking a small hiatus through the end of December, but watch this space as we’ll be back at it full force come January! Considering we are in the season of giving, what would be your take on of gifting? Any advice on how to put a smile on a loved one's face? Listen, all the time. There’s often a hint people will drop without even meaning to. Write that down or pick it up when they’re not looking. They’ll have forgotten, but will be pleasantly reminded by your gift. So if you see something you just know your friend will like—a card, token, whatever—get it immediately and hold onto it. When gift-giving time comes around you’ll be glad you did. And if you don’t have that luxury (sometimes shopping just before Christmas is pretty overwhelming) then just come in and tell me what they like, have, talk about. I’m happy to make suggestions based on any and all of the above, with your own budget in mind. And yes, we have gift cards!